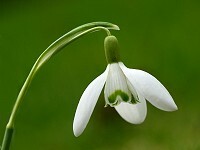 The snowdrop is usually the first flower to appear in a new year and brings with it the promise of spring. Each stalk produces one nodding flower head with white outer petals and inner petals which are tinged with green. 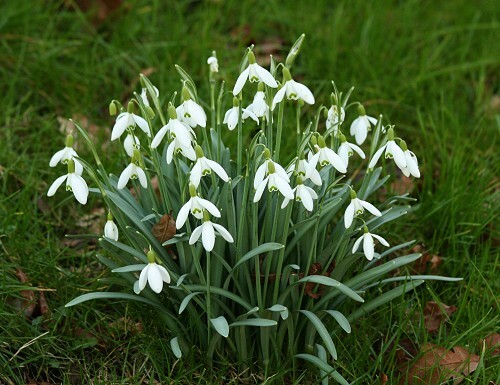 The flower heads are followed by green seed pods which distribute the seeds close-by to form spreading snowdrop colonies. 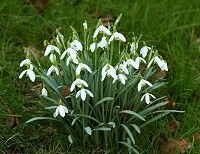 The leaves are long, narrow and greyish-green. 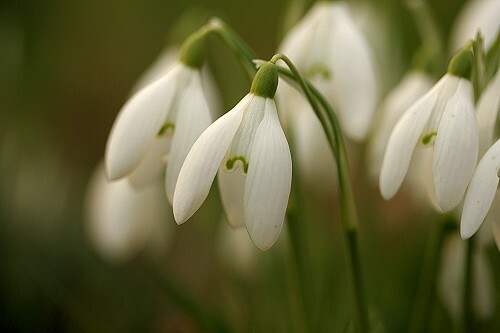 Snowdrops are fairly common in the Britain and grow mainly in deciduous woods and beside streams.